Like many Tuscan cities, Cortona is of Etruscan origin. Standing on a hill in the province of Arezzo, Cortona has maintained its Medieval structure. 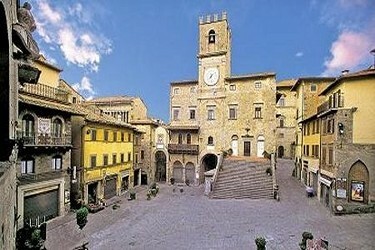 Cortona, situated 600 metres above sea level, overlooks the whole Valdichiana. CortonaCortona is the ideal starting point for trips to Florence, Siena, Arezzo, Perugia, Assisi, Spoleto and many other cities of art and culture in Tuscany and Umbria. 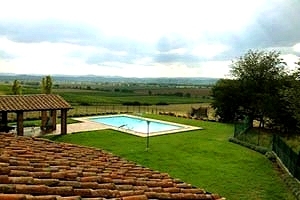 Are you planning to spend your holidays in Cortona? 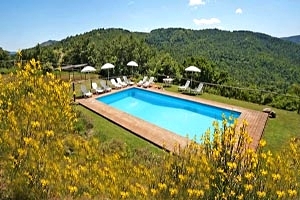 Florenceholidays.com offers a wide selection of holiday villas and country houses in Cortona - villas with swimming pool, apartments in villas, ancient farmhouses that have been renovated and transformed into elegant country houses. 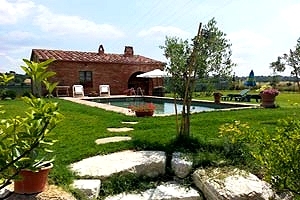 Find in this page and in our website the country house for your holidays in Cortona.